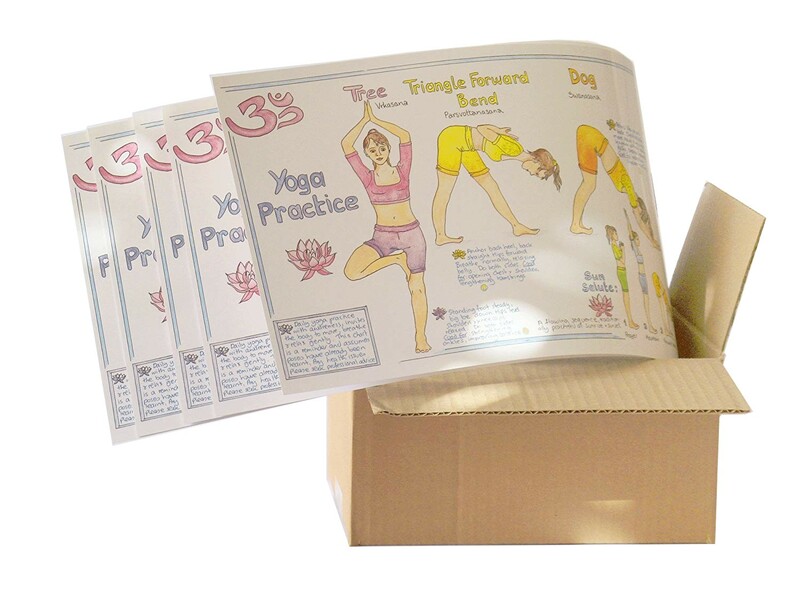 Yoga Wallchart Multi-pack 5 untubed Wallcharts from Liz Cook Charts. I produced this chart after my yoga teacher said: "it would be great to have a chart like your nutritional chart for daily yoga poses". The chart is based on the principles of Hatha yoga and was created in conjunction with Michelle Cobbin (AIYP), my fabulous Brighton-based teacher. 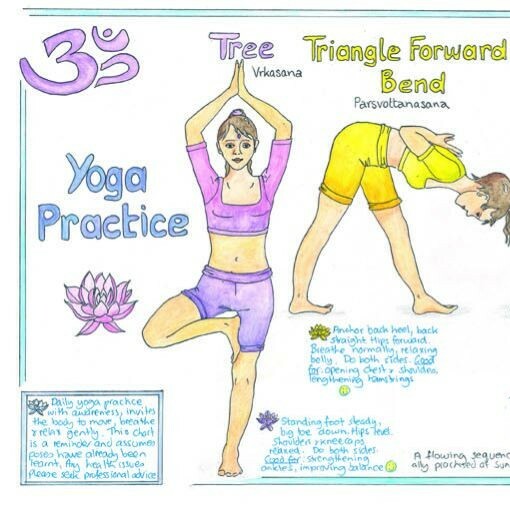 The following classic yoga poses are featured in this chart: tree pose (Vrkasana), triangle forward bend pose (Parsvottanasana), dog pose (Swanasana), wheel pose (Chakrasana), warrior pose (Virabhadrasana), king pigeon pose (Eka Pada Rajakapotasana), cobbler pose (Bodha Konasana), sage pose twist (Marichyasana), cow face pose (Gomukhasana), hero pose (Virasana) and shoulder stand pose (Sarvangasana). 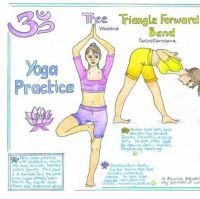 The stages of the sun salute are also included: prayer, mountain, forward bend, lunge, plank, child, cobra, dog, lunge, forward bend, mountain and prayer.